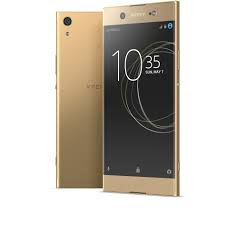 While Sony fans still enjoying the recent announcement of the company’s brand new flagship phones, the Xperia XZ Premium and XZs, they also used Mobile World Congress 2017 to unveil its successors to the Xperia XA line that were introduced last year.This was For those who aren’t able to afford the cost of Sony’s flagships, the Xperia XA1 and XA1 Ultra should prove to be more cost effective – however, this will not sacrificing the charm with Sony’s designs. Focusing on beefy cameras, superior audio and visual technology, and near bezel-less displays, they’re certainly going to offer some bang for the buck. Sony Mobile India has launched the 6-inch Xperia XA1 Ultra in India at a recommended starting price of Rs. 31,990 (£383, €428, $497). However, the handset is available for rs. 29,990 in all Sony Center stores across country, where you can choose one of four different colours variations (White, Black, Golden and Pink). Sony is including a Quick Charger (UCH12) in the box, as well as a Rs. 1,000 discount off the price of the Style Cover Stand (SCSG40), when purchasing the phone.